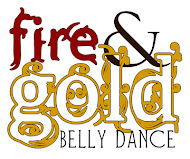 I'd like to apologize for the lack of Beauty Blogging for Bellydancers posts these past couple of weeks. I have some cool new products to review, but I've been short on time to sit down and really work on my makeup! I hope to return next week, as long as I'm not too busy working on my new troupe costume. In the meantime, are there any new cosmetics out there that you've been curious about? What should I try next?